My house feels (and looks) like a costume factory this time of year. Natural side affects of having kids, loving to dress up myself and being too proud to buy pre made costumes. 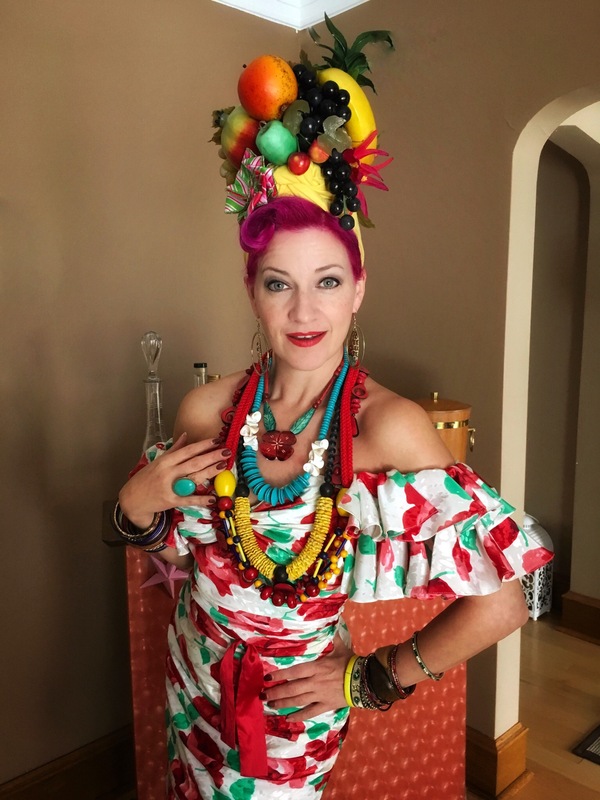 This Carmen Miranda costume has been in the works for over a year. 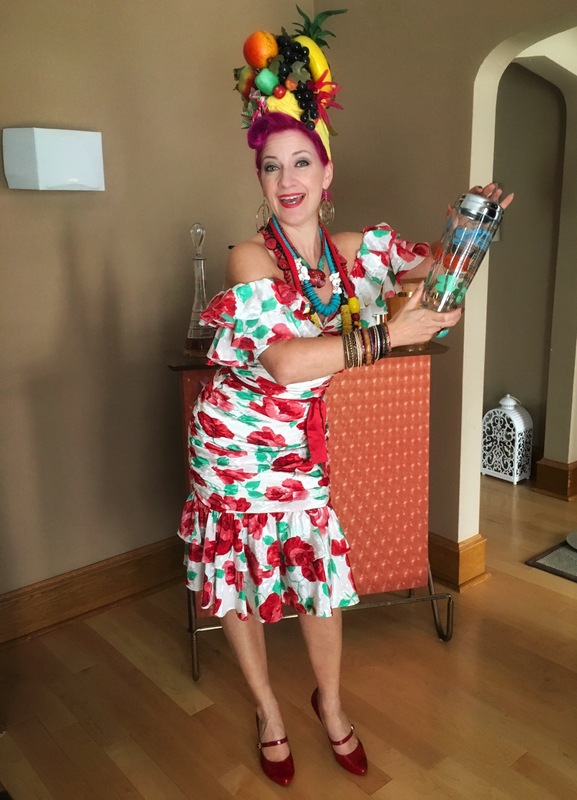 I didn’t shop with a plan of dressing like the 1940s Brazilian Bombshell but the 80s ruffled dress was instant inspiration! I spotted it in the costume section at The Salvation Army Thrift Store last September and couldn’t wait to find the corresponding fake fruit needed for my hat. That, however, didn’t show up until May! The thrift store does provide but sometimes you need a little patience and tenacity. 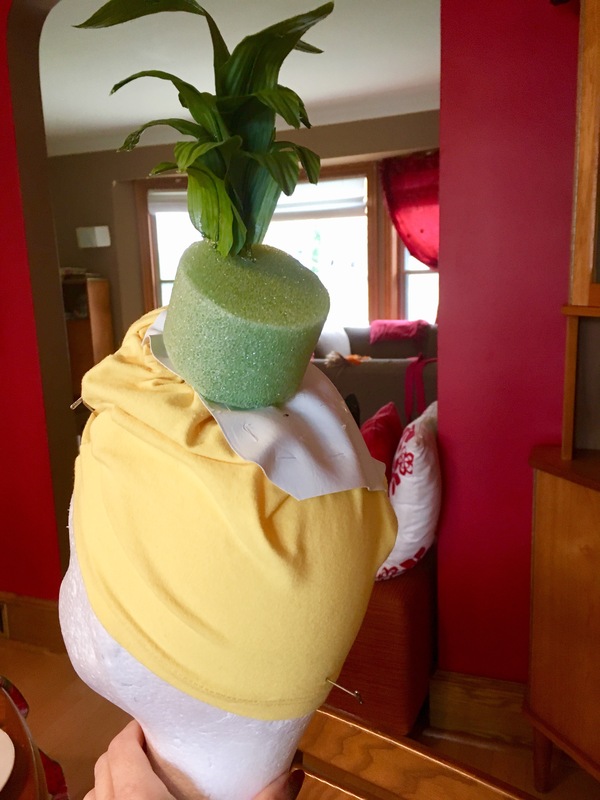 I used a thrifted t-shirt to fashion the turban and with the help of some vinyl, a chunk of floral foam and plenty of hot glue, realized my tutti-frutti hat! And don’t be surprised to find it living on my mantle forevermore, after Halloween. 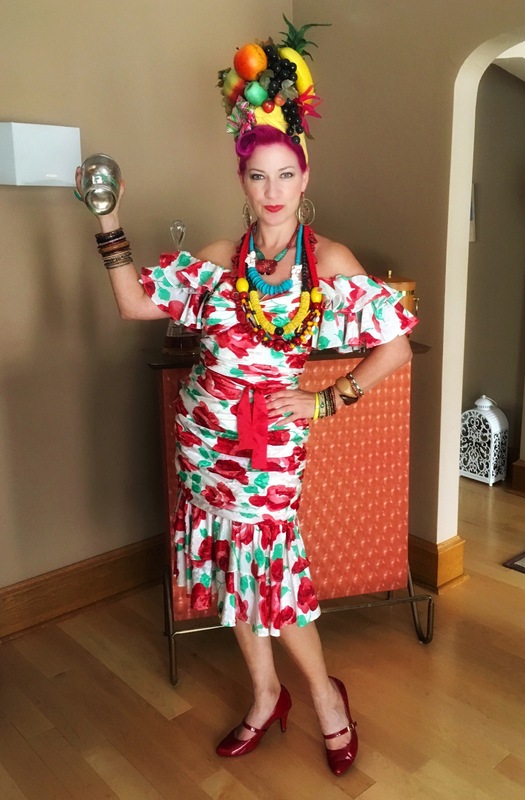 All of the tiki style jewelry that I love had been thrifted over time. 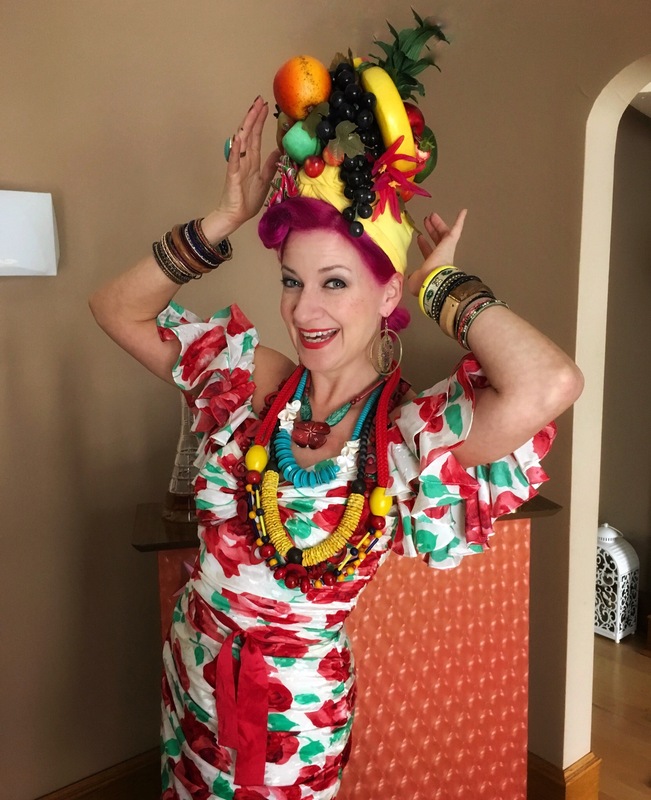 Piled up together adds the final details to bringing my Carmen Miranda to life! Now to practice dancing without moving my head like she does.